Canarian Legal Alliance is delighted to share our latest Silverpoint First Instance Court victory. 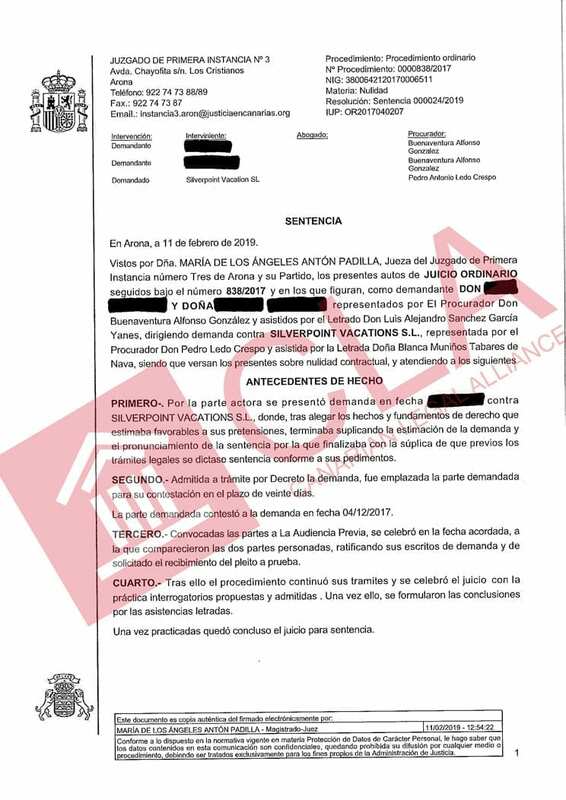 Our clients Silverpoint contract has been declared null and void by the Judge of Court N4 in Arona, Tenerife. The magistrate cited the fact that said contract did not include an end date as the main cause for nullity, using the Supreme Court jurisprudence to reinforce his argument. Silverpoint has now been ordered to refund over £36,616 plus legal fees and legal interests.